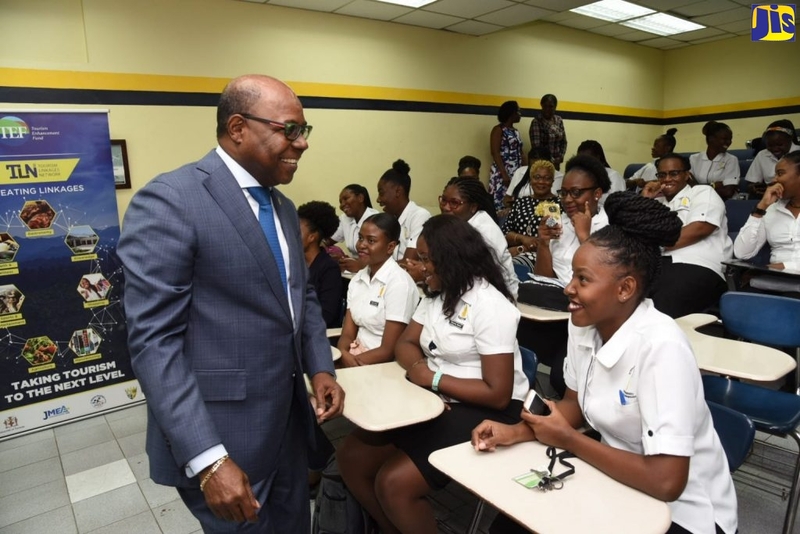 Minister of State in the Ministry of Agriculture, J. C. Hutchinson, has reiterated the Ministry’s stance to facilitate the growth of small businesses in the sector. He was speaking at the official opening of a week-long Business Development Workshop, at the Jamaica Pegasus Hotel in Kingston, on March 10. Mr. Hutchinson said the workshop has come at an opportune time, because of the challenges to the agricultural sector brought about by trade liberalization. “This is forcing us to explore all the available opportunities for adding value to our primary production, in order to ensure the economic survival of small and medium-sized operators in the sector,” he said. The most recently published data from the Statistical Institute of Jamaica, (STATIN), revealed that small and micro business operators account for approximately 34 per cent of the Jamaican labour force. Additionally, a large segment of this group is involved in small scale agro-processing enterprises, or some type of cottage industry, which is a major source of income for rural women and business-minded youngsters in rural and marginalized communities, the State Minister said. He pointed out that owners of small businesses have been unable to take advantage of the economies of scale, from which larger enterprises benefit, by purchasing goods in bulk at cheaper prices. “We at the Ministry of Agriculture recognize this, and in keeping with our stated mission of facilitating growth and competitiveness at all levels of the sector, we continue to take steps to address what we see as two of the major challenges facing small and medium scale producers – lack of adequate business support services, and affordable financing. It is for this reason that we welcome training initiatives like today’s workshop,” Mr. Hutchinson said. The State Minister also mentioned the establishment of a Business Investment Centre by the ministry, which offers support to small businesses. “This business centre is geared to assist operators of small and medium-sized agricultural-based enterprises to access credit financing under the 7.8 per cent Development Bank of Jamaica and People’s Co-operative Bank loan facilities,” he said. Mr. Hutchinson also pointed out that in keeping with the ministry’s drive to stimulate competitive agriculture, the centre’s six-member team has been trained to screen applicants’ projects to ensure viability, prepare business plans and to link primary producers to available markets. “Since the establishment of the business centre in April 2007, it has facilitated the submission of loan applications valued at $140.3 million to PC banks across the island,” he informed. The Inter-American Institute for Co-operation on Agriculture (IICA) Representative in Jamaica, Cynthia Currie, said the workshop is targetted at persons in the food or food-processing business and would cover a variety of topics dealing with food processing to include: technical processing and business models; food; science and technology requirements; food hygiene and sanitation; packaging and labelling; equipment options and marketing. “As such, this is a particularly useful workshop in an environment where value-added production in the agricultural sector is being increasingly promoted,” she said. “In the Caribbean, we are very fortunate to have so many rich-based products that we can use and then turn into value-added products that can then be sold to the marketplace,” she added. The workshop, which is being held under the theme: ‘Business Opportunities in Agro-Processing’, is sponsored by the Caribbean Development Bank and IICA in partnership with the Rural Agricultural Development Authority (RADA).